Our area of Florida is one that is ripe for adventures, be them to Disney World, Universal Studios, or the beaches that lie to the east of Orlando. For any journey you’re heading on, you need a sedan by your side that can give you more out of every drive. 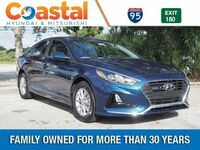 That’s why the Hyundai Sonata is routinely such a favorite in the mid-size market, and for the 2019 model year, it returns to Coastal Hyundai with all the efficiency and smart performance you’ve come to expect, as well as tech advancement that you might not. 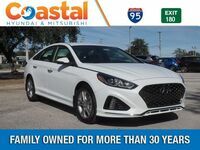 Our Coastal Hyundai team wants to give you an exclusive, insider’s look at what the 2019 Hyundai Sonata is fully capable of, so that you can make an informed decision about whether or not to pull the trigger and sign off. Join us today and see if the Sonata is the right sedan for your needs! 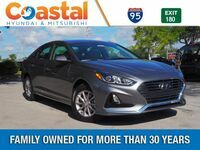 The 2019 Sonata’s sleek design and intelligent engine construction allows it to achieve great fuel economy ratings both in the city (up to 26 miles per gallon) and highway (35 miles per gallon), and with a MacPherson front strut suspension that combines with an independent multi-link rear suspension, your drive will be agile and enjoyable all the same. Still, what separates the 2019 Hyundai Sonata from the rest of the pack is its ability to keep you safe. It’s been able to achieve a 5 Star Overall NHTSA safety rating, thanks to driver assistance features that include Blind Spot Detection and Rear Cross-Traffic Alert. All in all, the Sonata is a model that will have your best interests in mind from the second you roll off the lot. 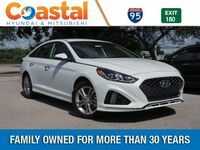 If you’re interested in seeing more of the 2019 Sonata in action, be sure to contact our Coastal Hyundai sales team today and schedule a test drive. We’re happy to get you set up with an appointment at the best date and time for your schedule, and we’re always here to answer any inquiries you might have about this iconic example of South Korean engineering!